Monday, we had a "Souper" good time sharing soup! Teachers brought in various types of soup to share. All was set up in our teacher workroom. Bottom left was mine! Classic tomato soup, but it's all about the toppings! Gold fish, croutons and popcorn! Yum! Big thanks to our social committee for organizing this yummy event! We had our big . . . Papa John's Pizza Teacher Delivery night! Yes, teachers deliver pizzas to the families in our community! Parents drive . . . we deliver! 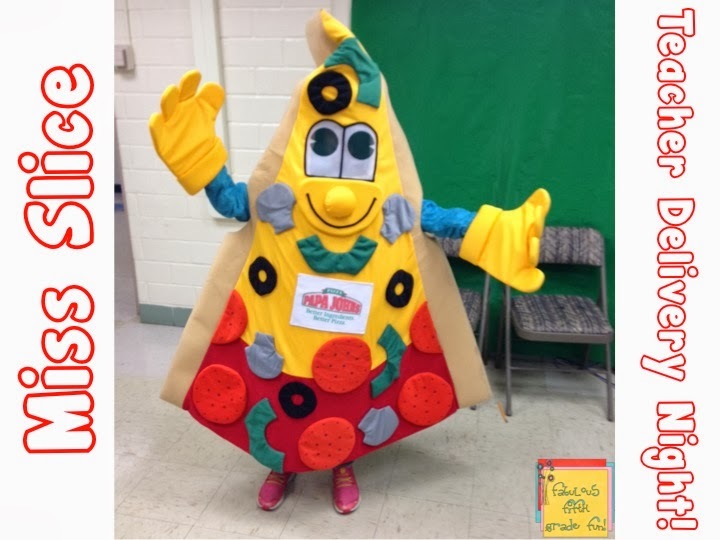 Miss Slice, (my daughter) made a guest appearance on our morning school news station to encourage families to order pizza! It is a wonderful evening where our school gets a percentage of the pizza sales and the school keep 100% of the tips earned! I got to spend some time with the secondary teachers (the are a hoot!) during one of their technology facilitator meetings. As Instructional Tech Specialists, we shared a few resources during this meeting. I've posted about some of the resources during what we now call . . .
Tech it o New Heights Speed Sharing . . . #1 - #2 and #3. 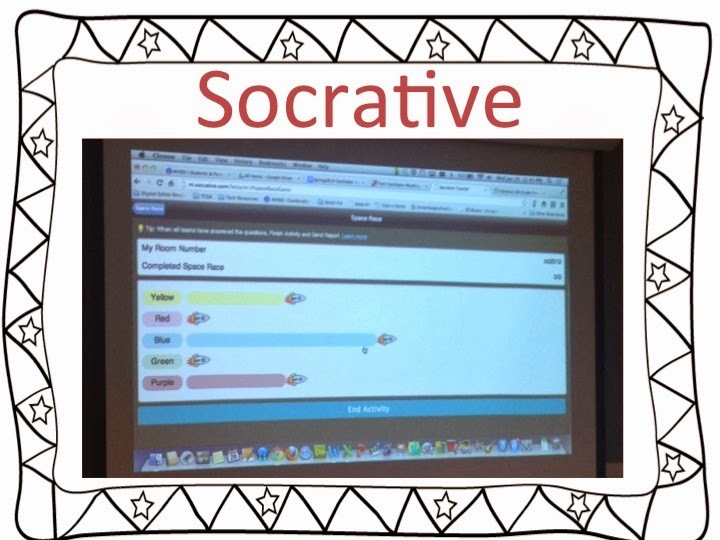 Love Socrative! 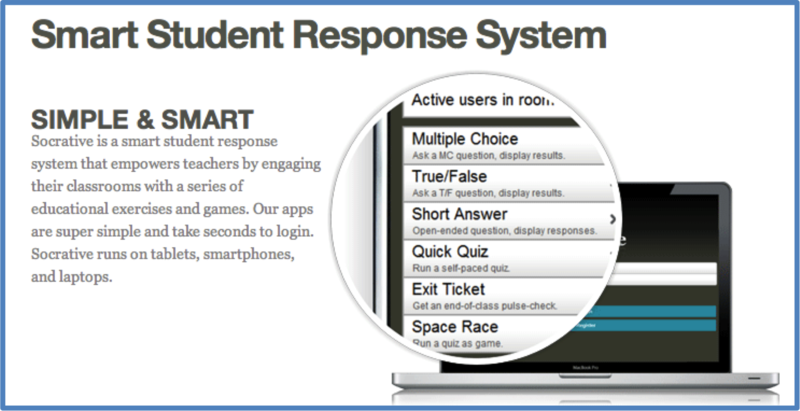 A teacher can create quizzes and a student can take it on any device! We played the Space Race quiz. It was, again, a hoot! Those are some extremely competitive teachers! Oh, by the way, it's free!!!!!!!!! 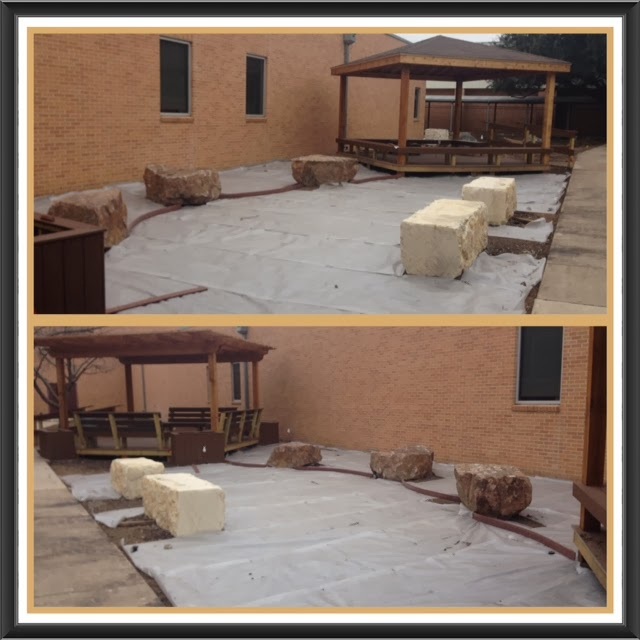 Our outdoor learning environment is coming along. They are just about finished with the learning huts. Most recently, they added the landscape borders and big boulders! Those boulders will be perfect for sitting and writing! They are working on the mountainous area. Weather permitting, the landscaping should be finished in 2 weeks! What you see below is going to be the desert area. I can't wait! 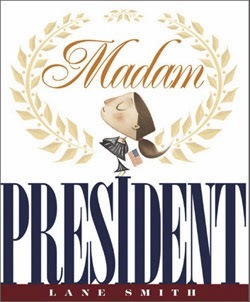 I'm adding this to my mentor text collection! Sunday, I linked up with Collaboration Cuties for their mentor text linky! You really need to check out their linky. There are soooo many great mentor texts with some great lessons to integrate in your curriculum! 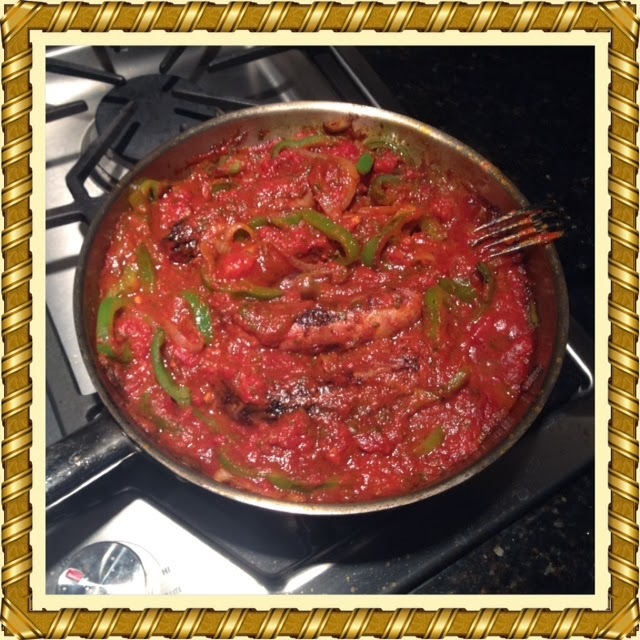 Dinner Thursday night, grilled Italian sausage, sauce, grilled green peppers, and onions on an open faced sandwich! Yummy! 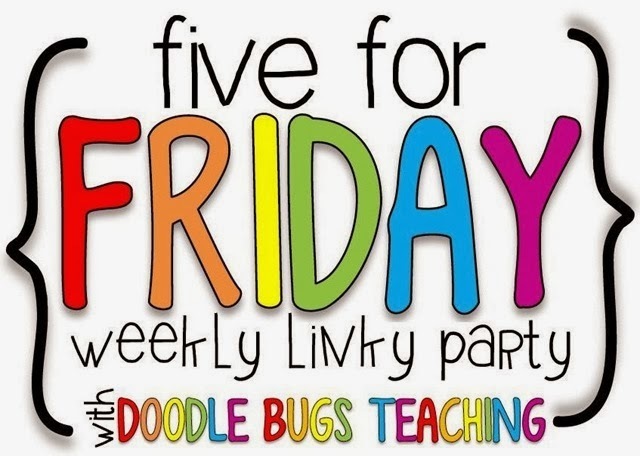 Head over to Doodle Bugs's Link - Five for Friday! I love the Souper Bowl lunch! So fun! I bet your families love your pizza delivery night! Last year my school had a McTeacher night, where we all worked at the local McDonalds. It was extremely hectic, but a lot of fun! Love this whole post! 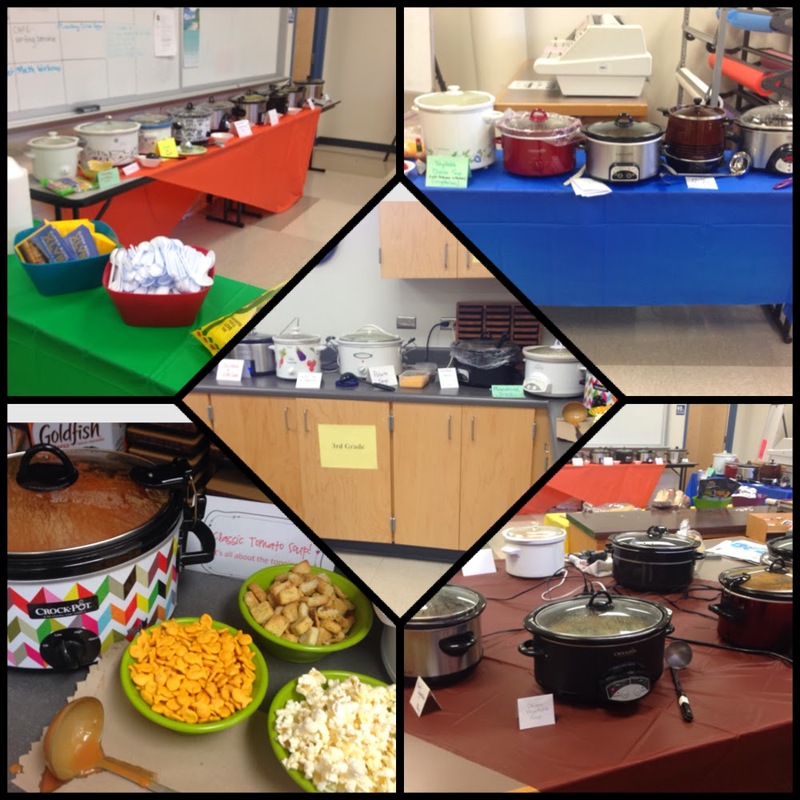 I wish I had been there for the Souper Bowl lunch, and I am really jealous of your future outdoor classroom space! I can't wait to see the finished product! Our social committee puts together some type of lunch once a nine weeks. Tons of fun! The outdoor learning environment has been 3 years in the making! Very excited!